Microsoft announced they have received a $480M contract from the U.S. Army to develop special versions of their Hololens device dubbed the Integrated Visual Augmentation System (IVAS). The contract calls for the delivery of 2550 units in the next two years, but options could enable the Army to purchase up to 100K units, although this could take many years. 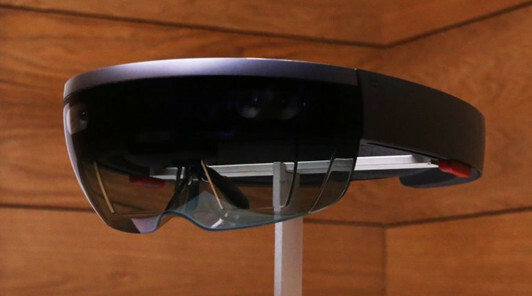 Nevertheless, this may be the biggest win to date for Microsoft and their Hololens device. Microsoft has done an excellent job of showing many use cases for Hololens in a wide variety of industries. This has clearly established the value proposition for this class of AR, although VR could be used in many of these uses cases as well. However, I am not aware of any major wins beyond the kind of demos and small scale pilot projects for Hololens, yet. Many expect this to change soon as it takes time for demos to turn into pilot projects to turn into small scale roll outs and then to major roll outs. And, Microsoft is expected to introduce a new Hololens device in 2019 as an upgrade to the one introduced in 2016. The U.S. Army and the Israeli military have already used Microsoft’s HoloLens devices in training but plans for live combat would be a significant step forward. The Army contract calls for some modifications to the Hololens device, specifically, the addition night vision and thermal sensing will enable a form of artificial night vision that optimally would detect with 90% accuracy a human-sized object 150 meters away with illumination just by starlight, and provide augmented overlays that will ultimately have to be readable across all lighting conditions. Also new would be health monitoring sensors to measure vital signs like breathing and readiness, monitor for concussions and offer hearing protection. The head-worn device would specifically track weapons and allow soldiers to see simulated fire from their real weapons while offering training with weapons like Javelin missile systems in a completely simulated environment. As for optical upgrades, the Statement of Objectives document unearthed by uploadvr.comshows the threshold for the horizontal FOV is 55º (and up to 110º), suggesting the new devices will be the rumored next-gen Hololens type, increasing the FOV from the current 35º range. The initial request for proposals said the ideal weight of the gear would be no more than four pounds (1.8kg), but the ideal weight is two pounds (0.9kg). That weight refers to the head-mounted equipment, which is a standalone device today. However, the Army wants to use the gear with standard Army helmets and any pack worn on the body. The Army will also want some pretty sophisticated processing power that includes AI/Machine Learning capabilities. According to Fortune, the system will need machine learning to identify objects and targets, and use artificial intelligence algorithms to suggest routes, detect threats (like tripwires), and alert a soldier to anti-electronic measures, like GPS jamming. It would also coordinate activities among large groups of soldiers. This AI/ML component may become an issue for Microsoft. Earlier this year, hundreds of Microsoft workers signed a petition criticizing a contract with U.S. Immigration and Customs Enforcement that Microsoft had originally said included some of its AI software. In October, a group of employees published an open letter urging the company to not bid on a military cloud-services contract worth $10B. In response, Microsoft’s President and Chief Legal Officer, Brad Smith, said the company would continue to sell software to the U.S. military, but employees with ethical qualms with projects would be allowed to move to other work within the company. All of these changes suggest the Army’s version will be quite different from any commercial version. Is Better Supply Chain Coordination the Key to AR/VR Adoption?